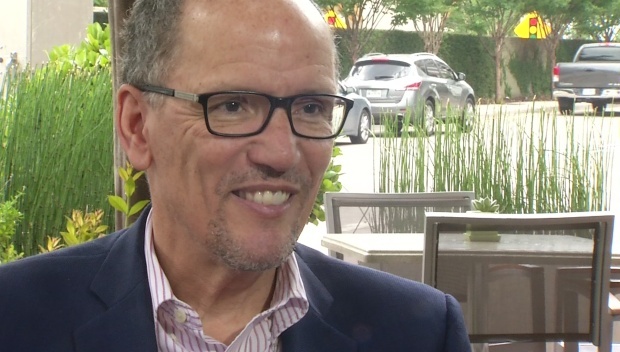 Democratic National Committee Chairman Tom Perez Tuesday made his second visit to North Texas since taking over as chairman of the DNC. During a sit-down interview, Perez addressed opportunities in Texas for Democrats, a deeply red state. “I think Democrats can win everywhere. That is the lesson I have learned from my 15 months of traveling across the state and investing in ZIP codes across the United States,” said Perez. Perez appears confident that Democrats will pick up congressional seats in Texas as the Democrats try to win back a majority. 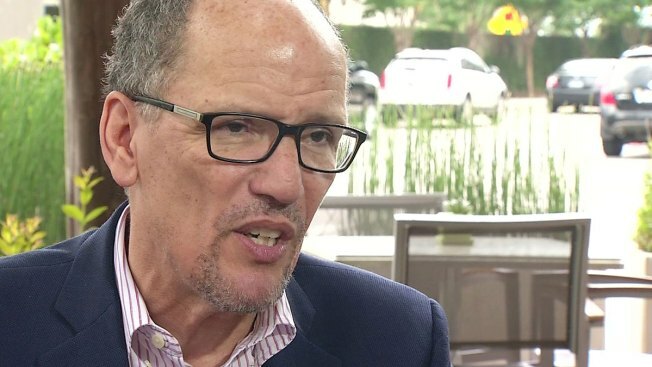 NBC 5's political reporter Julie Fine spoke with Democratic National Committee chairman Tom Perez as he spoke about opportunity in Texas for Democrats. “I think we can take three to five seats, and it is all about organizing,” he added. One of the seats Democrats are eyeing is Congressional District 32 -- that is the seat held by U.S. Rep. Pete Sessions (R-TX 32nd District). We asked if he expects Democrats to invest money in the race. “Absolutely. There is an opportunity there, and again, the fact the Democrats didn’t have a challenger in 2016 was a "shame on us" moment and we are not letting that happen again,” he added. Perez also sees opportunity for U.S. Rep. Beto O’Rourke (D-TX 16th District), who is trying to unseat incumbent Sen. Ted Cruz. “I think you will see, you know, investments in Beto. You have already seen investments in Beto’s campaign. And the thing about what he is doing that is smart, is what we are doing across the country. We have to compete in every corner of the state,” Perez said.